Restaurants, today, need to look sharp. With 2017 in full swing, the competition is fierce! Whether you own a small restaurant, run a national chain, or are a hotel or casino with a restaurant inside, fitting your staff into top quality restaurant uniforms sets a professional atmosphere for both employee and customer. We are a top supplier of restaurant uniforms – able to supply any type of restaurant uniform. Everything from the waiters or waitresses to the chefs to the bus boys and bus girls – we can make your employees look shine, and your diners appreciate an amazingly professional atmosphere. Even better, Uniform Solutions for You offers FREE consultations with our uniform experts to help you brainstorm restaurant uniform ideas for your workers. We can assist you in the types of clothing needed, logo designs, and everything else necessary to customize your restaurant uniforms while still maintaining competitive prices. 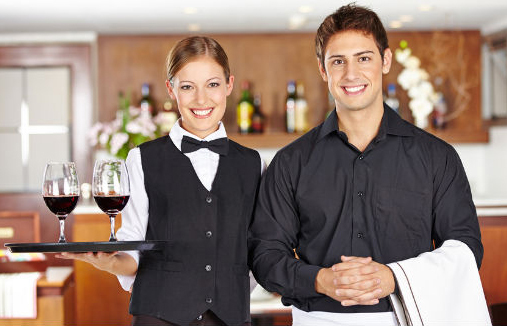 Whether it’s uniforms for waiters or waitresses, or any type of server uniforms for a restaurant, bar, or nightclub, we can provide wait staff uniforms of all shapes, sizes, colors and prices. Browse our waitstaff uniform pages to gather some ideas for waiters and waitresses, cocktail servers, bartenders and those in the back of the house. 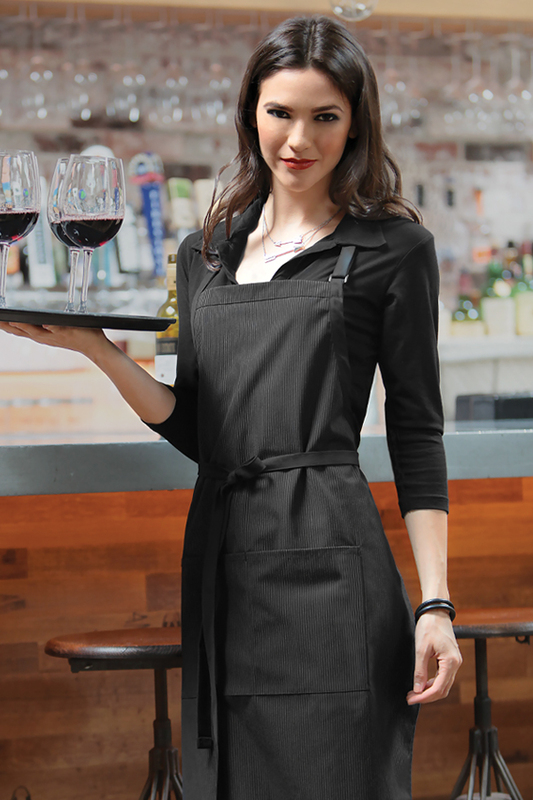 We want to be your preferred choice as a waitstaff uniform supplier! 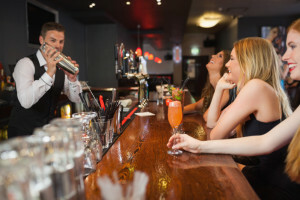 You’d be surprised at how frequently your cocktail servers come in contact with your customer base. Make your cocktail servers stand out of the crowd with our cute and classy cocktail server uniform offering. Please feel free to ask us for samples, order a FREE sizing run or just give us a call if you are looking for new ideas for your cocktail server staff. Before there is dinner, there are drinks. Whether it is a restaurant, club, casino or hotel we know how important bartenders are to the success of your establishment. Let us help you make them look great in something they can feel comfortable in and at the same time reflect a professional image to your customers. Ask us for ideas or samples of bartender uniforms. Even your back of the house staff (kitchen staff and others) set the stage for a professional restaurant or hotel. 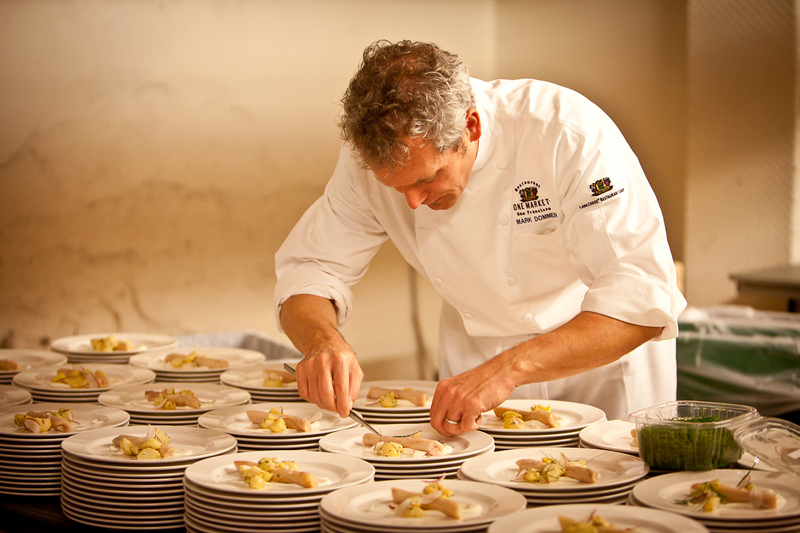 We know how chefs are perfectionists so why not make them look perfect in our cool and contemporary chef apparel. To sweeten the pot, why not embroider their name and your logo on their personal coats? We also understand the kitchen can be an uncomfortable work environment so we encourage you to check out our breathable yet comfortable kitchen staff uniforms. Reach out to one of our uniform consultants for ideas about back of the house uniform ideas and samples. Our selection of restaurant uniform shirt options offer contemporary styles with a great variety of colors that still incorporates functionality and ease of care. These uniform shirt options don’t end at our site, as over the years we have partnered with over 200 uniform shirt suppliers which allow us to offer and endless array of quality restaurant uniform shirts. We know it is important to our customers that the shirt style, color, and size is available all year round. Our uniform shirt selections and suggestions reflect this very important concept that many overlook. Aprons, of course, are the workhorse of restaurant uniforms. But even the workhorse should look great! Aprons are not just limited to black and white. We offer the latest and greatest of aprons with various styles, colors and prints. Accessorize your staff with one of the most key pieces of their attire without looking stale and boring. You can stand out above the rest with a unique apron set-up. Uniform vests can class up any basic uniform shirt or blouse. From the most simple and basic to the lavishly ornate, we have vests for men and women that encompass every category. But why stop at uniform vests? Accessorize their look with a tie or a cummerbund. Don’t like ties, we’ve got other forms of neck wear, including classy scarves and handkerchiefs. Browse through our online catalog for uniform vests and uniform accessories or reach out to one of our uniform consultants to assist you with putting a look together. We know your kitchen staff is just as important to your operation as any of the other positions. We also know the different elements of the kitchen, so you can rest assure that we will be able to suggest the most comfortable, functional, and stylish uniform options for your kitchen. Need customization? No problem. We can make sure that your staff behind the scenes looks and feels just as great as all the other positions of your restaurant. Check out our selections of chef coats, kitchen shirts, kitchen aprons here.